Cruise-In Classic Car Show, Glenway Street 6:30 p.m.
‘Bye, Bye Birdie’ at The Haid Theatre, Belmont Abbey College, evenings 8 p.m.; Sat/Sun matinees, 2:30 p.m. The Abbey Players perform. Reserve tickets in advance. 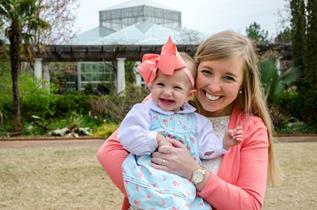 Peter Cottontail’s Garden Adventure, Daniel Stowe Botanical Garden, 11 a.m. – 3 p.m. Celebrate spring along with Peter Rabbit and his friends! Enjoy family activities and crafts, live entertainment and more. 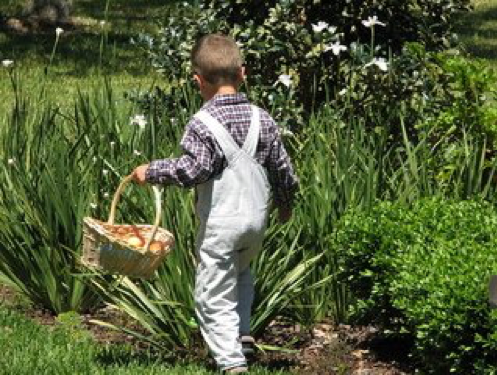 Enjoy Easter Egg Hunts and family-friendly activities. Garibaldi Festival, Stowe Park, 11 a.m. – 4 p.m.
Join us in Stowe Park on April 27 for the annual Garibaldi Festival, celebrating our creative community through art, crafts and music. The event features live music by DownTown Abby and The Echoes as well as Caleb Davis plus craft beer from Gaston County’s Cavendish Brewing Company. Also become part of beautifying Belmont through a participatory public art project. Art Walk, Downtown Belmont, 6-9 p.m.
Come stroll downtown to eat dinner, hear music and enjoy art in galleries, shops and outside. Take a step back in time and learn about historic Belmont with children’s activities, needlework, military memorabilia and more. Arts at the Abbey Concert: Spring Concert, Belmont Abbey Basilica, 3 pm. Friday Night Live Concert Series: Coming Up Brass, Historic Downtown, 7-10 p.m. 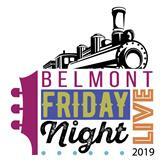 The Friday Night Live Concert Series returns to historic downtown Belmont for another season of live music, food trucks, pre-show DJ, beverage garden and fun! Festivities begin at 6 p.m. with the featured band taking the stage from 7-10 p.m. on South Main Street. 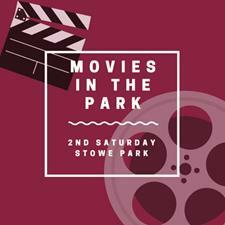 Movies in the Park: Harry Potter and the Sorcerer’s Stone, Stowe Park, 9 p.m.
Bring a blanket or lawn chair and enjoy a movie under the stars. Concessions will be available for purchase. Celebrate the amazing mother in your life among the bright blooms of the Garden! From horse-drawn carriage rides to family crafts, live music, trailside mimosas, food trucks and local vendors, the entire family can enjoy this vibrant weekend dedicated to mom. Learn more at dsbg.org. Friday Night Live Concert Series: Trial By Fire (Journey Tribute Band), Historic Downtown, 7-10 p.m.
Belmont Classic 5K and 1 Mile Fun Run/Walk, Downtown Belmont, 8 a.m.
Grandiflora: Gamrath Glass at the Garden, Daniel Stowe Botanical Garden, 9 a.m. – 5 p.m. 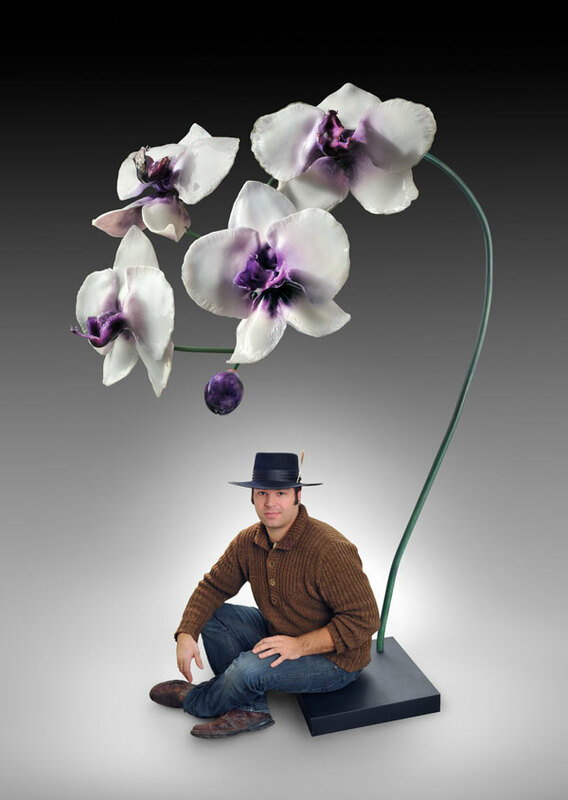 Enjoy this awe-inspiring, larger-than-life botanical glass exhibit. Be mesmerized by towering 10-foot orchids, vivid pitcher plants, energetic Venus flytraps and more. By day visitors can explore the Garden and glass sculpture throughout, while at night the sculptures will be illuminated and visitors can listen to live music while relaxing with a beverage in the Beer Garden. Event runs May 24 through Sept. 9. Butterfly Bungalow, Daniel Stowe Botanical Garden, 9 a.m. – 5 p.m. 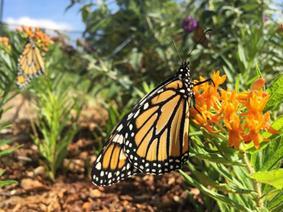 Enter a pollinators’ paradise abundant in fluttering butterflies and a colorful display of their favorite plants. Learn all about the species – even what exists in your own backyard – and how to best attract these stunning, nectar-loving insects. Event runs May 25 through Sept. 2. Friday Night Live Concert Series: Gary Lowder & Smokin’ Hot, Historic Downtown, 7-10 p.m.
Juneteenth Celebration, Stowe Park, 2:00 – 9:30 p.m. 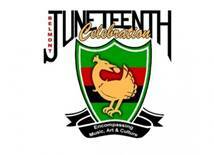 Enjoy this cultural festival of arts, crafts, music, food and more. Finale concert starts at 7:30. Friday Night Live Concert Series: 20 Ride (Zac Brown Tribute Band), Historic Downtown, 7-10 p.m.
Friday Night Live Concert Series: Java Band, Historic Downtown, 7-10 p.m.